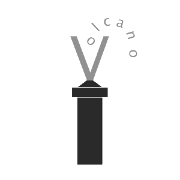 You haven't done 3D printing if you have never used a volcano. The high-performance nozzle upgrade for your E3D v6. The longer nozzle allows more heat transfer to the filament, allowing more volume of material per second. You should use a higher layer height to allow enough filament to flow through, or else you risk a jam, but your print time will be reduced significantly.